Once I had a portfolio review session and in order to make maximum from it, i brought the photos which I myself saw as challenging. They were not my best shots yet, I liked them. Defying the rules of classical composition, three thirds, etc. they gave a fresh perspective – in my opinion. I was curious of the opinion of the renown street photographer. And I got it. He did not like the shot. The main comment was that my photos were too unclear in terms of the subject they are depicting. There was no one in focus to keep the eye. Maybe. But I was glad I found an interesting compositional solution – that for me was more important at that moment. My photo may not be precise, unclear yet it was interesting. In my opinion. I stuck to it. 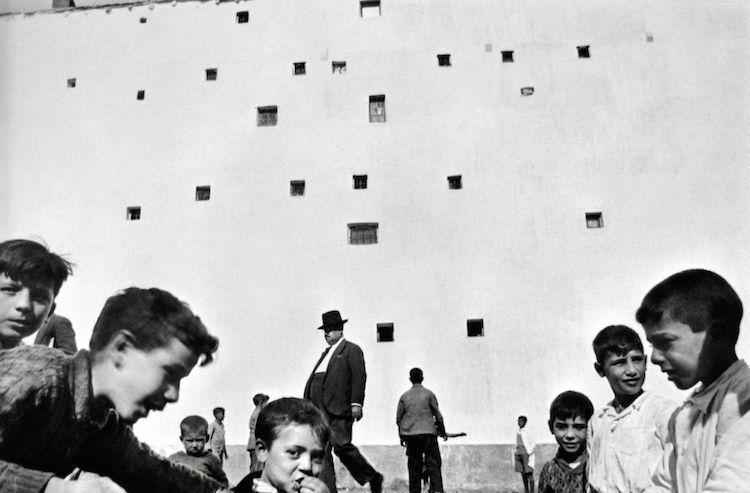 Only a few months later I stumbled upon Henri-Cartier Bresson’s photo – Madrid, Spain (1933), which was so much close to mine in the way it was organised. Master’s photo is more powerful of course, but this was my intuitive solution I was after. Negative space. I loved it! “Wall of the forbidden city” is the only one shot I have. 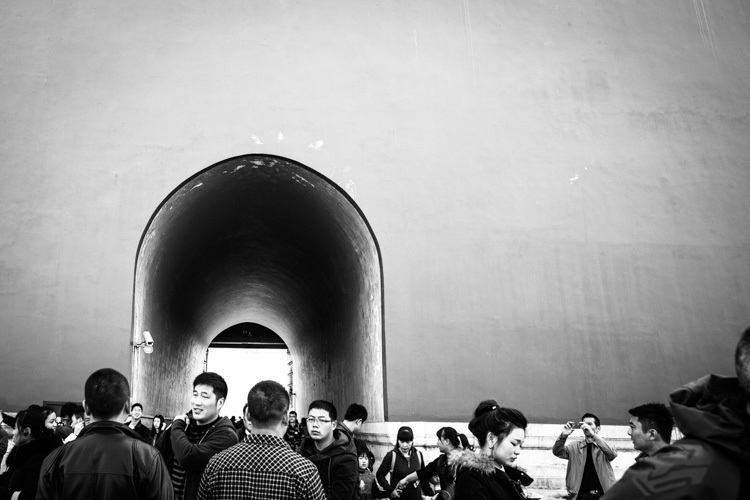 Natasha Chub-Afanasyeva, Wall of the forbidden City, China, 2014.